Moving into a new home can be very exciting yet overwhelming at the same time! Often times the old furniture does not fit properly into the new home, there are questions about paint colors and room accessories, all while you are trying to find things in boxes! The best option? 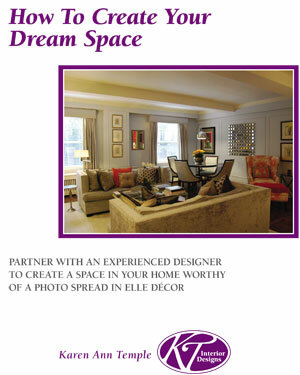 Call KT Interior Designsbefore you move! We can visit the new house with you and take a ‘walk through’ to see what work should be done prior to you moving in – such as freshening up certain rooms with paint, putting up shelves in closets and doing furniture plans to determine where your current belongings should be placed in the new house. It is even possible to make changes to lighting, refinish wood flooring and measure for new privacy window shades prior to moving in as well. By planning ahead, you can deal with issues like having a couch that is too large for the living room, realizing in advance that it needs to go in the family room instead. By knowing where all the furniture will be placed, it makes it very easy for the movers to know where each piece is supposed to go instead of adding un-necessary confusion on you and your movers on moving day. It also gives you the chance to determine if additional new furniture pieces are needed in the new space. 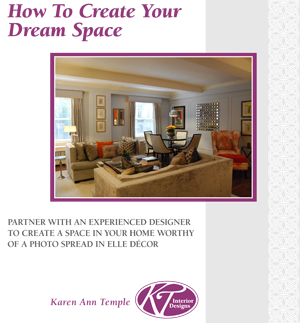 Planning ahead with KT Interior Designs can make moving into a new home a much less stressful experience!